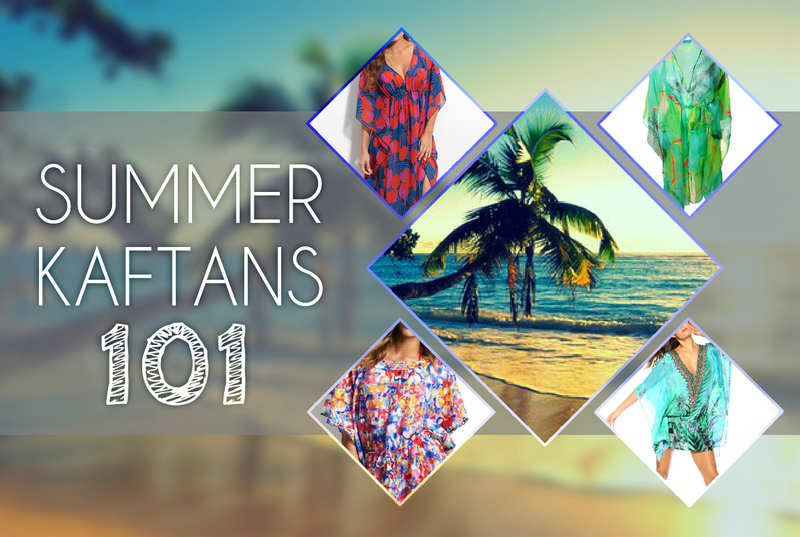 Mmmm kaftans… they are so easy and simple to make! I love how they are so flowy and relaxed, perfect for hot summer days. You can wear them on top of a tank-top or a simple dress (if your fabric is see-through with no lining), or you can wear it as a cover-up for the beach. 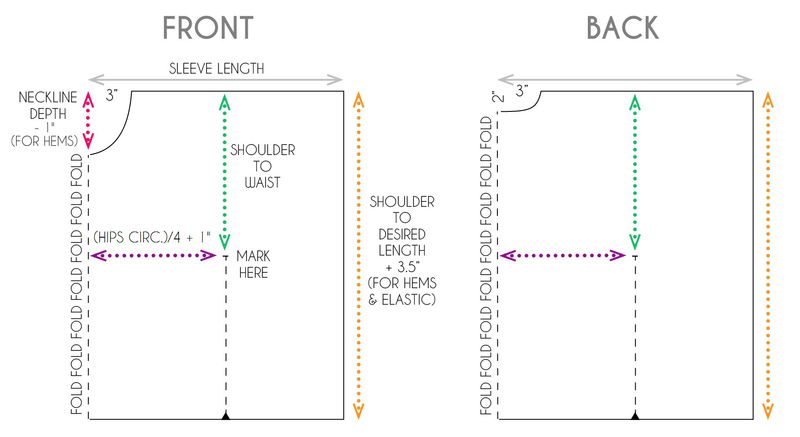 First you’ll see the alterations you can make to the pattern so you can achieve your custom design. 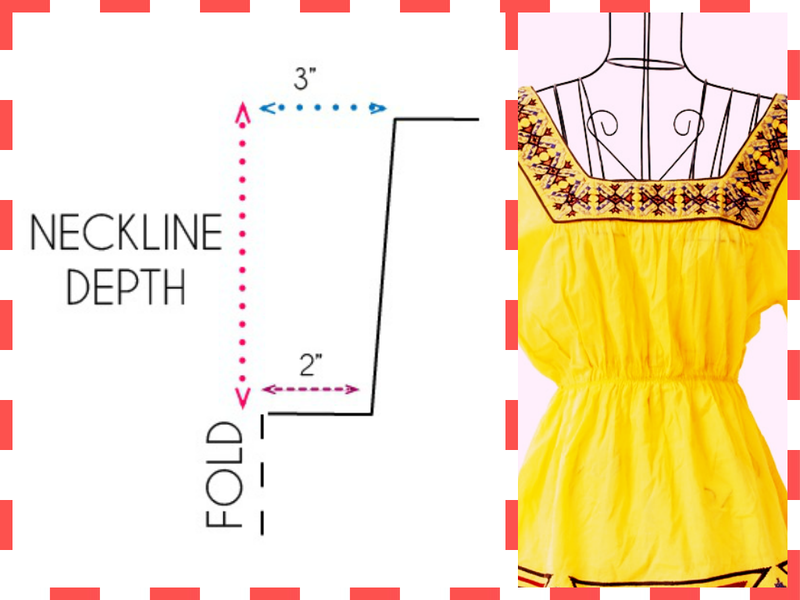 In the second part of the post I am going to show you how to make a simple kaftan with lining. You need enough fabric to fit your desired length. 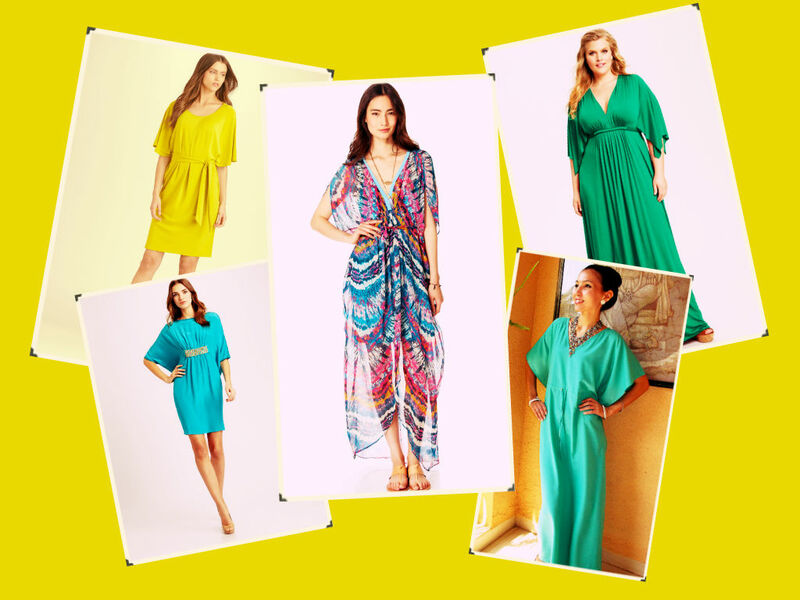 Measure from your shoulders to wherever you want the kaftan to end – knees? heels? or maybe hips? Add 1.5″ to that number (for hems), add another 2″ (for elastic waistband or drawstring tunnel), and multiply the whole thing by 2. Fold the fabric’s selvages together, right sides together. Wrong sides should be facing you. Now you have a looooong rectangle. The easiest way is to fold the fabric in half. One side will be our front and the other will be our back. Alright, so now we choose the shape of the kaftan. 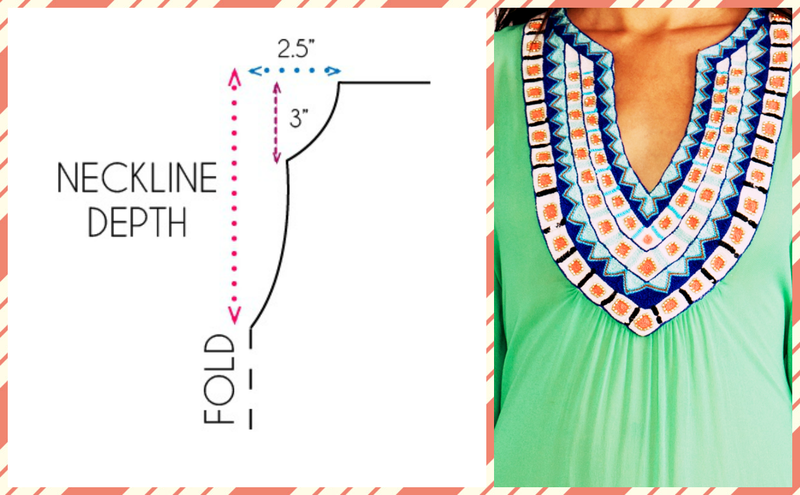 What makes kaftan patterns different is actually 2 things: necklines and sleeves. 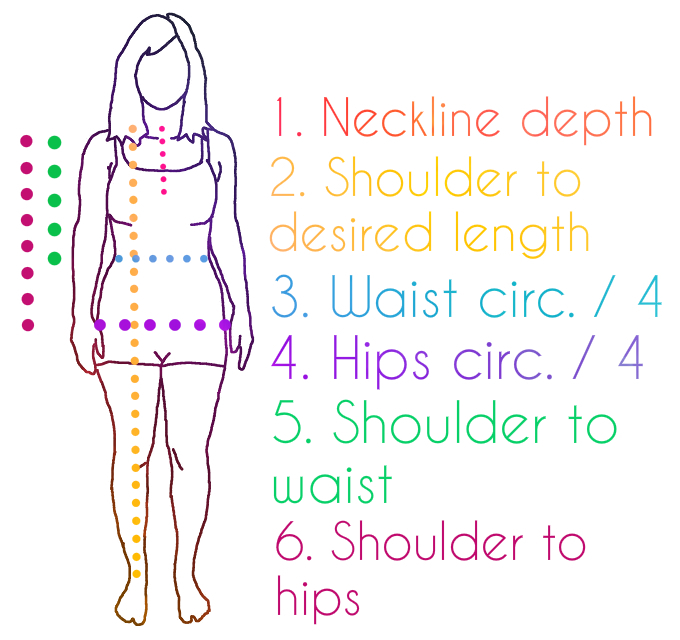 Here I am going to demonstrate how you can decide for yourself which shape you want and how to accomplish it. 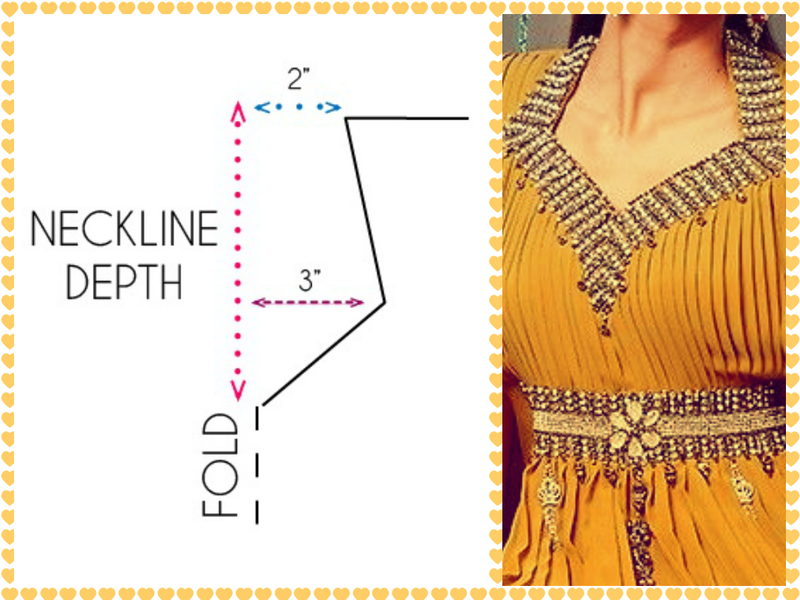 *** In all the following patterns I will use a basic neckline, but I will elaborate on necklines later in the post. First, we have the rectangular kaftan. Notice how the sleeve is flowing along the entire dress. 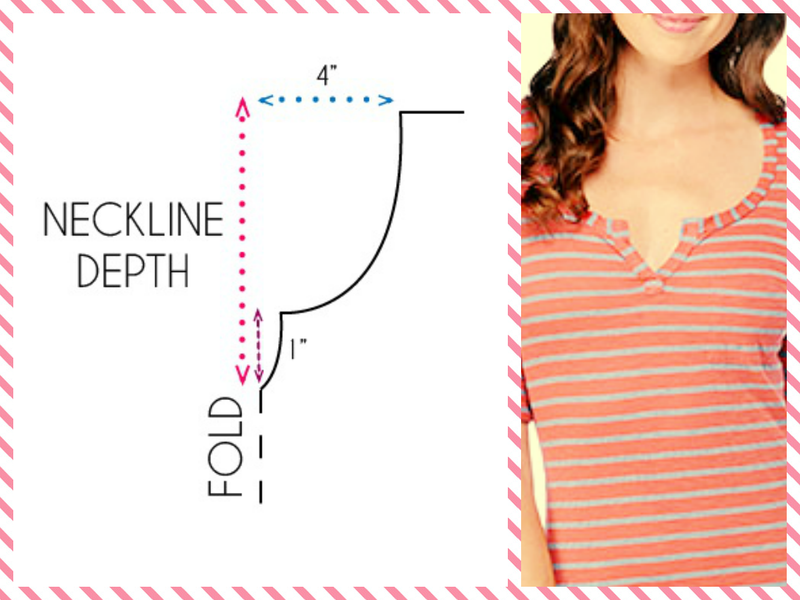 You can make the sleeve shorter or longer as you please, just measure from your collar-bone (that is where the fold is) to wherever you want it to end. OR if you’re not really into that whole frilly stuff, you can just keep the big sleeves. You can make it square, or even bat-like, as in this pattern; again, a french curve will come in handy. You can also play with the bottom part of the dress and make it wide and round. Really the options are endless, and you can come up with your own sleeve design. With necklines, you can also go wild, add all sorts of embellishments, like sequins, beads, embroidery, lace trimmings or patches. 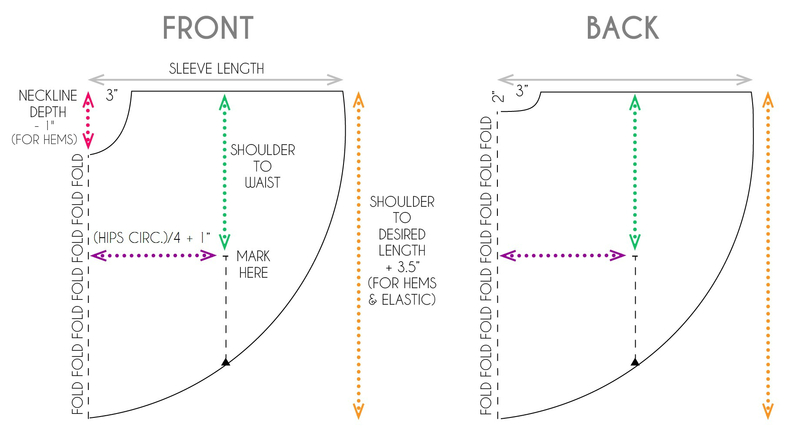 There are the classic neckline shapes – round and V, but here I am going to suggest a few interesting options for the front neckline. 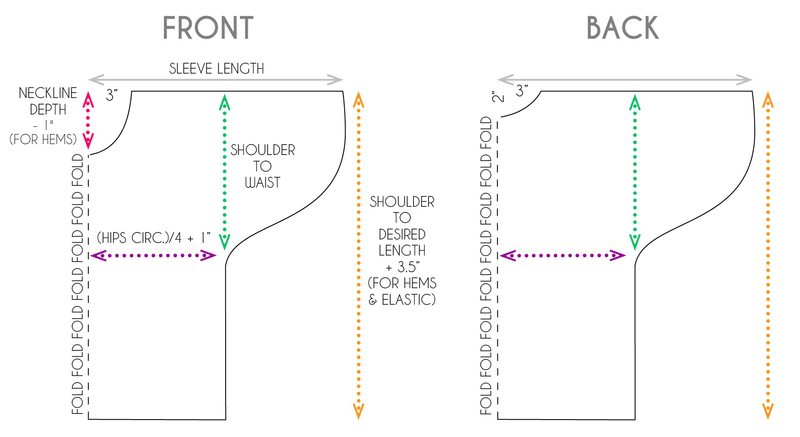 Regarding the back neckline – I like to keep it simple – round or V.
However you can decide for yourself, just make it the same width as the front neckline. Stay tuned for our next episode where we’ll get down to business with the fabric, the elastic casing and all the fun stuff: clickie-doo. I love the sheer one in the bottom right hand corner with the lettuce-ish wizard(?) sleeves under your “round kaftan” picture. I went online shopping for a kaftan recently and gave up lol. I seem to have a curse of expensive taste. I saw a couple I liked a lot, found their prices and nearly fainted. I’m battling a thin 4-way stretch knit fabric right now and I’m not sure a sheer (hard to sew) fabric will be in my immediate future since I’m sure it will drive me up the wall just as badly as this rotten stuff is. I can’t wait to see how yours sews up though. 🙂 Best wishes! I love this! I have some soft sheer fabric I haven’t been able to decide how to make up, so I’ll be watching for your next post!! Thanks for sharing! Take a lot. Keep up wit the goodwork. Love it, love it, love it. I am a total novice when it comes to sewing but the kaftan instructions make total sense to me. Off to find my material and away I’ll go.